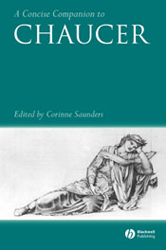 This concise companion provides a succinct introduction to Chaucerâs major works, the contexts in which he wrote, and to medieval thought more generally. - Opens with a general introductory section discussing London life and politics, books and authority, manuscripts and readers. - Subsequent sections focus on Chaucerâs major works â the dream visions, Troilus and Criseyde and The Canterbury Tales. - Essays highlight the key religious, political and intellectual contexts for each major work. - Also covers important general topics, including: medieval literary genres; dream theory; the Church; gender and sexuality; and reading Chaucer aloud. - Designed so that each contextual essay can be read alongside one of Chaucerâs major works.